Check-in Time is 12:01 p.m. and Check-out time is 12:00 noon. Meeting new friends...socializing...hiking...dining out...activities...sharing meals...sitting around the campfire... sightseeing...star gazing...comparing mods...talking solo travels, etc. 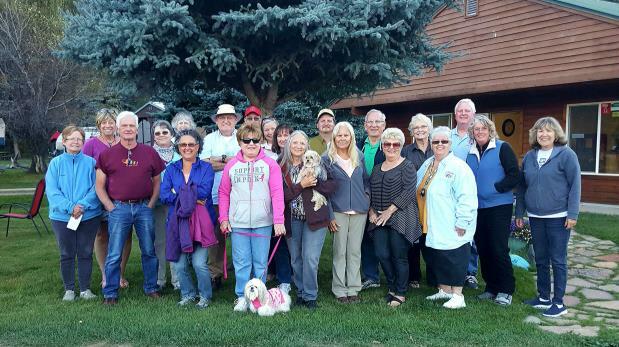 There'll never be a dull moment since there's plenty to see and do in the Pagosa Springs area. At the end of each day, we'll grab our folding chairs and beverage of choice to hang out and talk about what we did that day. We can also fire up the grill and share a potluck meal or two while we decide the who-what-where plans for the following day (hiking, kayaking, horsebackriding, shopping, etc.). We'll have sign-up lists to pass around. This Rally will be very informal. Group activities will be encouraged as a fun and easy way to get to know one another. We know Solos need "alone time" and you'll have that, too. But if you're the type who's more comfortable keeping to yourself, going off alone, or to limiting your socializing to just one or two people, then this Rally is not for you..
* SingleSolos are fiberglass trailer owners who travel alone (with or without pets) and who are not married nor involved in a committed relationship. Complete the RALLY REQUEST at the bottom of this page. After I receive your request, I will get back to you with instructions about contacting the campground. 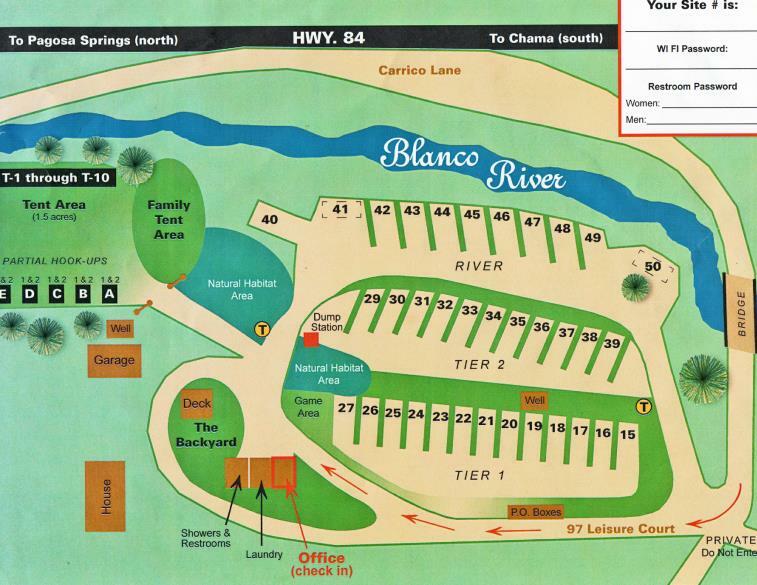 A deposit of $100 will be required by Blano River RV to secure your 7-night reservation. If you need to cancel, please contact me (Eileen) and the campground. Your deposit will be 100% refunded via the same method you used to pay. Konrad Szelock of Little House Customs Arizona will be at our Rally for five days to take care of any repairs or mods you need or want. Contact Konrad at (928) 606-1916 to make an appointment. of your call or text. (depending on whether I'm traveling). the RV park to pay your deposit. has water and power. Dog owners loved it here in 2011! it'd be camping back there. No hookups. Choose from any of the tent sites in The Meadow.